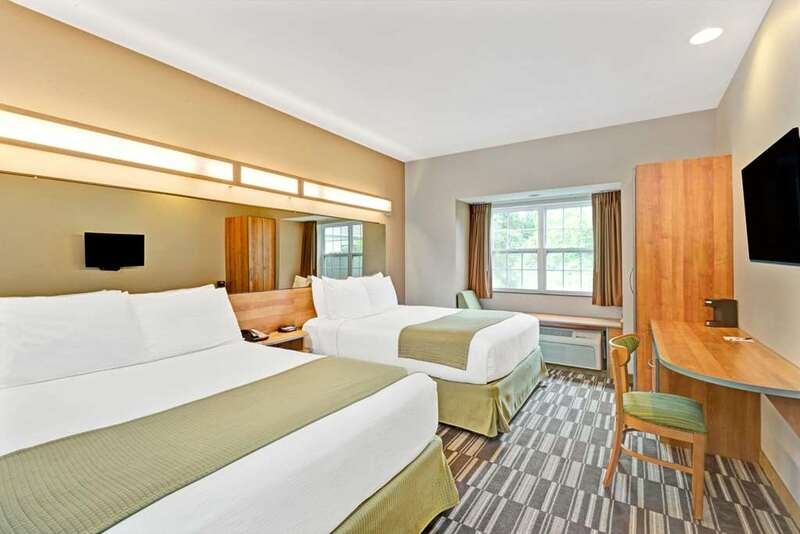 Near Wild Kingdom and beautiful beaches, this smoke-free Microtel Inn and Suites by Wyndham York is just off Interstate 95 and Highway 1, convenient to boating and deep-sea fishing. Portland International Jetport is 45 miles away. Enjoy complimentary continental breakfast with waffles and the ample large-vehicle parking. Complimentary wireless Internet makes it easy to check news and email. Swim in the heated indoor pool and soak in the hot tub, and refresh your wardrobe in the guest laundry facilities. The business center features computer access, and fax and printing service, and there is a meeting room for smaller gatherings. Modern guest rooms feature flat-screen TV and hairdryer, and select suites feature refrigerator and sofa bed, ideal for longer stays.